TELL ME TUESDAY is a feature that oozed from the fried brains of myself and one of my best blogging buddies. It is a weekly, or bi-weekly feature (depending on your reading style), where you tell us what you are reading now, and why, and what you will be reading in the future from your tbr pile, and why. I am oh so curious why people read what they read. So tell us! Go have a peek at their newest book grabs and tell them yours. So I finished both, In the Shadow of the Mountains (which I was reading last week) AND The Wailing (which wasn't too difficult because it is more or less a novella), prequels to The Books of Lost Knowledge by MR Graham. 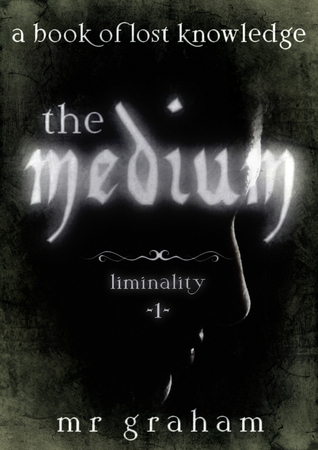 The first Book of Lost Knowledge, The Medium, I read more than a year ago when I received it from a Goodreads giveaway. As I have said before it is the only vampire book I have attempted since my beloved Anne Rice books that I have loved. The book is more than just an Adult vampire story, it is also a nail-biting Psychological Thriller, and has other paranormal beings in it interacting with the vampires in interesting ways. Anyway, I wanted to get the prequels read because the second Liminality book of The Books of Lost Knowledge, the sequel to The Medium, The Mora, came out and I wanted to read it straight away. It is what I am reading now and I am loving it as much as the first one. The author said she is taking a break from The Books of Lost knowledge story for a while (she warned me it ends in a cliffhanger, though, HOW CRUEL! ), so I will be reviewing the group of books together on the blog, soon. After I finish The Mora, I will be reading the eARC of Made You Up I received from Edelweiss. It is a Contemporary YA that deals with schizophrenia. I loved the first two audio books I listened to so much I am now addicted after putting them off for forever! I have started my third. It is Neil Gaiman's Neverwhere. It was a little difficult to get used to because it is actually a BBC radio dramatization with a full cast and is much different than listening to one or two people narrate. I also went back to finish In the Shadow of the Mountains because the second Liminality vampire book, The Mora, came out and it is a prequel. These are the only vampire books, I have liked since Anne Rice's original three. I have no Idea what I am reading next, but I did just buy the first three Fairyland ebooks in a bundled special for $14.10 (weird price, I know). I read the prequel novella last year and I adored the writing style. I think these will be the next books I will be telling my son to start buying me in hardcover for my shelves because they are gorgeous. THE INFINITE BLOG TOUR: Sequel to Gates of Thread and Stone. By now most of you know that GATES OF THREAD AND STONE was my top YA read in 2014. 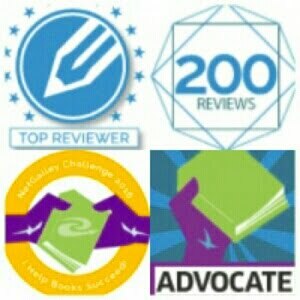 You can see my ★★★★★ review, HERE. So of course I was over the moon to get a spot on its sequel's, THE INFINITE, blog tour. Thank you, Lori! 1. I consider them Fantasy/Dystopian/Science Fiction. 2. They are not about time travel. 3. I am not big on romance, but I love the way the romace is written in these novels. 4. I usually do not like reading about the type of immortals in this story (no not vampires), but was tricked into liking them. Ha! Now on with the author interview! 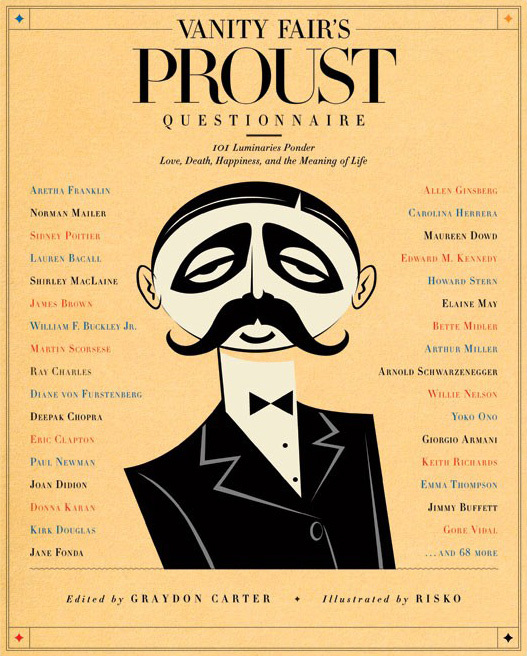 I have decided my new interview "thing" for this blog, be it author, blogger, or character is going to be questions from the Vanity Fair version of the famous Proust Questionnaire. Reading in silence with a cup of hot cocoa and a bowl of chocolates. Heights. And large insects. But also to be forgotten. The Easter Bunny. Because chocolate eggs. To feel like you're alone. Scotland. Japan. Somewhere in the US where it isn't frigid 6 months out of the year. Writing. Is this a trick question? Book number one, GATES OF THREAD AND STONE, is an ebook steal at $2.00 right now. And an ebook of THE INFINITE is also a must have at $3.99! You can find both books on Kindle Unlimited. THE SUNDAY POST is a weekly feature hosted by Kimba at The Caffinated Book Reviewer. 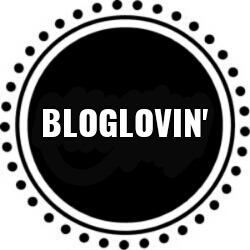 It is a chance to recap the previous week, share news, showcase books and/or bookish things we have received, and tell about what is coming up on our blog in the next week. You can view the rules, HERE. 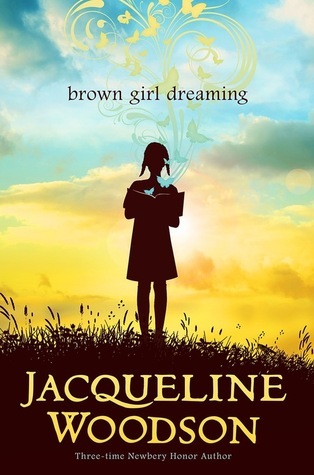 I am listening to the BROWN GIRL DREAMING audio book and I LOVE IT! My first audio book! I had some hand mending to do, so I started the book and couldn't stop listening. After I finished sewing, I did my nails and cut coupons. I ended up listening to 75% of the story! ORLEANS was a standalone Dystopian my sister picked out for me from the library about three years ago, I think, and it was brilliant! No romance and a true friendship between a guy and a girl, with zero sexual tension, and no unrequited love. Priceless! The MC is of color as well as the author. This is one of those books I would give six stars to if I could. I have not reviewed it on the blog yet because, as with so many books I read before blogging, it slips my mind. The paperbacks are dirt cheap at Book Outlet right now, so I might buy a couple and have a little giveaway with a review soon. I am going to contact the author to see if she has some bookmarks she can throw in. And I finished reading The Sin Eater's Daughter. 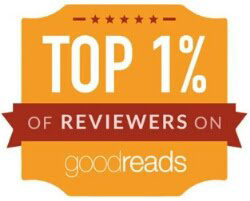 It started out around a four, went down to three stars, then down to 2.5 stars, but after an exciting ending went back up to three on Goodreads. All in all a disappointment. It ended in a cliffhanger of sorts, so I will be reading at least the beginning of the next book. Ha ha! I bought it for a special $2.99 ebook pre-order price. If I had paid full price, I would have been sad. I have a stop on THE INFINITE tour on the 17th. I will have an interview with Lori M. Lee. I asked her questions from the Vanity Fair version of the famous Proust Questionnaire. You can see David Bowies's Vanity Fair interview, HERE. This is going to be my "thing" from now on for both author and character interviews. There is a nice giveaway included, so I hope you will stop by. I will be linking the interview to my review on the same day. 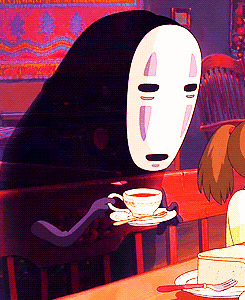 I am going to start posting my favorite gif I have seen in my travels of the blogosphere every Sunday. At the end of the year I am going to do a post of my top ten gifs chosen from these weekly winners. Of course the first one would be from the ever so "gif-ted" Cait at PAPER FURY. Thanks for the giggle, Cait! After seeing so many bloggers on Twitter commenting on THE SIN EATER'S DAUGHTER, and seeing reviews popping up on Goodreads and some of my favorite blogs, I shelved the book I ditched Seraphina for, and started TSED. I wanted to be able to get in on the book discussions while the topic was still new and fresh. My justification was that the book I was reading was not an ARC, and with Shadow Scale publishing on the 10th of March, there was no way I was going to finish Seraphina and complete Shadow Scale for a review before then. The pub date for my next ARC, the steampunk themed story that I had the ugly run-in with the publisher about, isn't until the 17th, so I had an open space there. 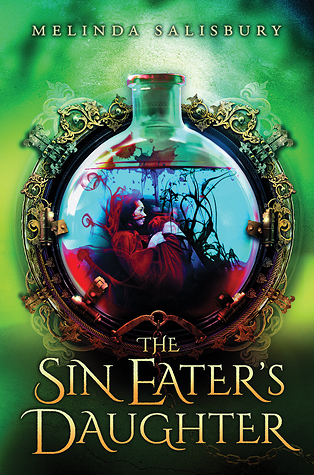 I am 80% finished with The Sin Eater's Daughter, and at this point it looks like it is going to be solid four. I was thinking about 4 1/2 stars, but she threw a clunker in the mix for me at about the 60% mark; one I don't think she can redeem herself from. This is a very storyline driven book. It keeps you wanting to read to find out what is happening next, even though the prose are pretty plain and the writing is very basic in descriptors. Does that make sense? I hope so. The author writes wonderful characters. I will be finished during my lunch today because it is a quick reading book. 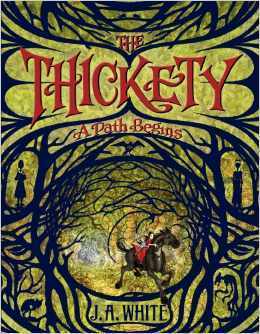 The Middle Grade book THICKETY, that so many readers seemed to find fascinating, was a $1.99 as an ebook, yesterday, so I purchased it and I think it is going to be my next read. The drop in price must mean its sequel is coming out soon. I am enjoying this little break for me reading. TELL ME TUESDAY is a feature that oozed from the fried brains of myself and my best blogging buddy, after a mind twisting Armchair BEA Twitter party. 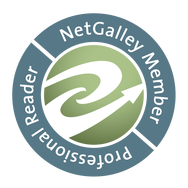 It is a weekly, or bi-weekly feature (depending on your reading style), where you tell us what you are reading now, and why, and what you will be reading in the future from your tbr pile, and why. I am oh so curious why people read what they read. So tell us! Have a peek at what they are reading, too! As per my last TMT you all know that I am not reading the steampunk story right now (but I will finish it). I started reading Seraphina, so I could get Shadow Scale read and reviewed by the publishing date, but although I do adore the book and the writing style, I started getting bogged down for some reason, so I took a break. I ended up starting a side story, In the Shadow of the Mountains, to an Adult vampire novel, The Medium, I received from Goodreads First Reads last year. It is free as an ebook. The author let me know about it because I had given The Medium, five stars. The Medium was the first vamp story I had read and liked since reading the original trio of Anne Rice books many, many years ago. 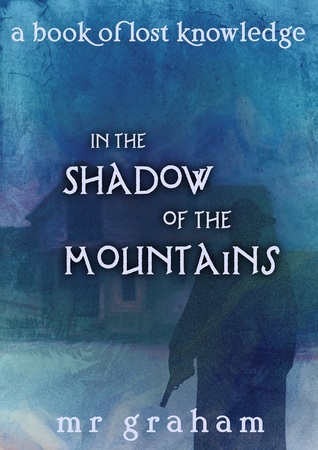 I don't reccomend reading In the Shadow of the Mountains first, even if it is considered a stand alone because if you don't already know the characters, the first 20% of the book would be boring; boring enough to dnf, actually. These books are collectively known as The Books of Lost Knowledge. I purchased an enovella The Wailing for $1.99. I found out it is about one of the characters common to the other two stories, but set before both of those books. I also downdloaded two free short stories from Amazon. I have no idea if they have anything to do with the Lost Knowledge books. Plus, The Medium and the new book coming out, The Mora, are their own thing as the Luminosity books. CONFUSING! After I read them all, I should be able to figure things out. Ha! I don't know if I will read The Wailing after this, or go back to Seraphina.